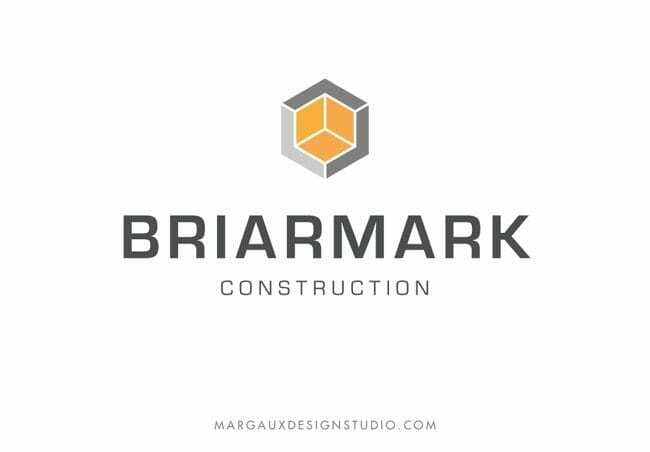 Startup construction company branding, logo design + marketing materials. With our inspiration board we found we wanted to create a logo that felt isometric in connecting with structure + depth. Then, we wanted to chose a modern color palette. The connection with the hexagon is both a masculine and feminine shape so the whole branding didn’t feel to swayed in either direction. Although construction is seen as a male dominated industry, women tend to be the main buyers in ordering renovations and bringing ideas to life. This element helps connect to the client.